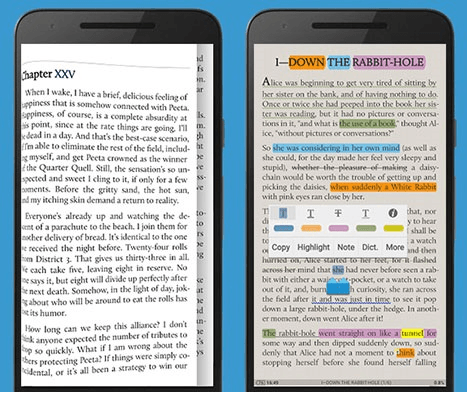 The application for reading electronic books and texts favorably differs from other readers not just a large set of functions and settings but also interesting statistics of reading! But first things first. 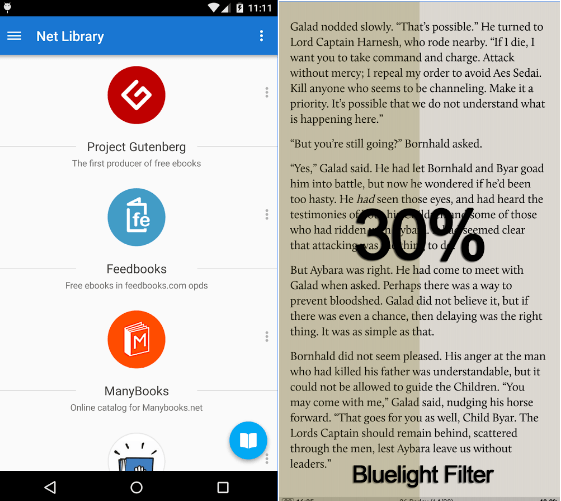 In Moon + Reader, at startup, a list of the last books is displayed, next to each of which is a progress bar showing the percent reading and elapsed time, as well as the speed of reading the book in words per minute. 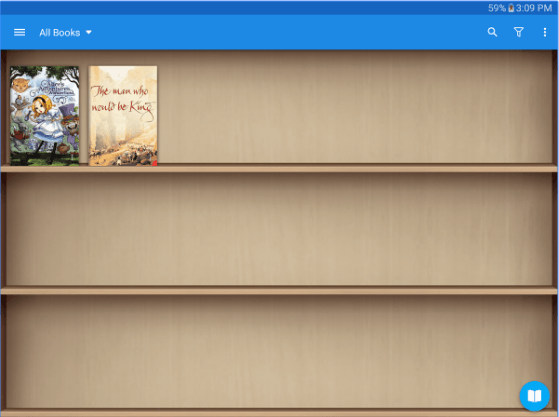 Books can be downloaded from phone memory, cloud storage, and online libraries! After opening the book, you can go to the reading settings. They are divided into three categories – view settings, controls, and additional. In the first, you can adjust the font size and type, background color, etc. In the control settings, the actions performed when a particular button is pressed or when you touch different areas of the display, as well as the orientation of the screen, are determined. In addition, you can configure the display lock, red line, auto-scroll settings and much more. On the scroll is to dwell. This is a very convenient option, allowing you to lay your hands aside and do not scroll the pages by tapping the screen. Autoscrolling depends on the read speed, it is usually recommended that you try to work in normal mode for a while, so that the program displays the average read speed in the statistics, and then put the same parameter value in the auto-scroll settings. Also for automatic turning, you should create a hotkey, which will activate it or stop it when you press it again. Thus, reading instead of constantly turning the pages by analogy with paper books will turn into a more convenient process, more like watching a movie when there are Play and Stop buttons. Also in the settings, you define visual styles of auto-scrolling – you can scroll smoothly, line by line, pages, etc. 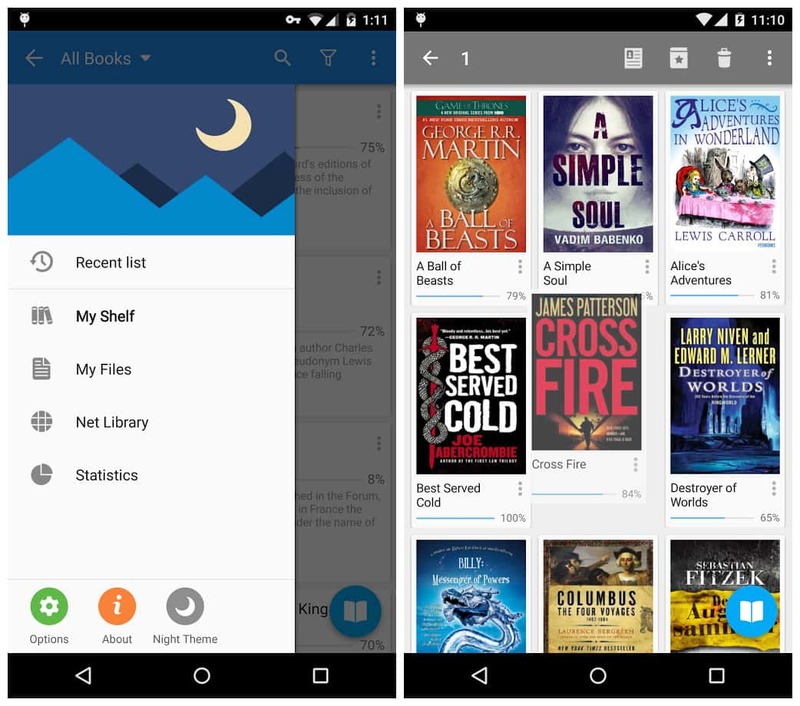 Quite an interesting feature is the statistics of reading: in it, you will see how many books you have read, the total number spent on reading. But the most interesting is the speed of reading, it will allow you to evaluate the thoughtfulness of reading. Statistics show that the higher the read speed – the lower the assimilation of the material, the average figure is 200 words per minute. For example, such parameters as a total number of read works, reading hours (both general and average daily) are available. Moreover, on the last tab in this menu, you can see the date ranges when the user read this or that book. The introduction of statistical data harmoniously fits into the application, when reading, you can display an information panel in different parts of the screen with the current time, the progress of reading through the chapter and the book in general, etc. Also, based on the average reading speed, the time required to complete the chapter is calculated, this information can also be displayed on the panel. 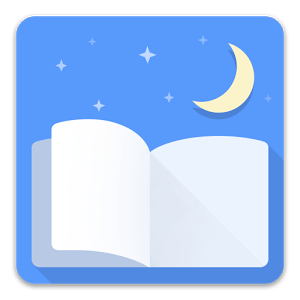 This is very convenient for users who read before going to bed – opening a new chapter, they can immediately see how long it will take – 5 minutes or an hour and instantly decide whether to take it. Among other things, it is worth noting access to online libraries and a large number of open formats – .fb2, .epub, etc. For those who often read in the absence of a light source, a night mode is available that changes the backlighting scheme to more suitable for such a situation. The application flexibly adjusts to itself, which is very nice, and does a good job, and working with it is not only pleasant but also valuable. 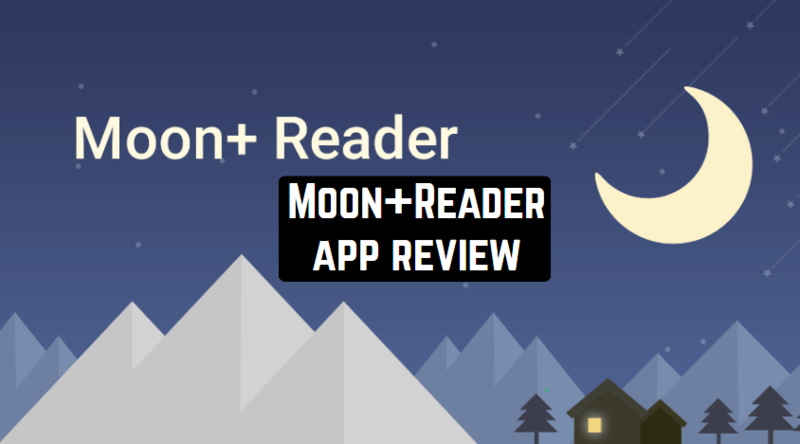 Useful reading with Moon + reader and interesting books. Support for formats: fb2, umd, chm, txt, html, OPDS, and others. Setting actions for touch and paging. After shaking the phone, the text is read aloud by the phone. Startup password and much more!